Before you start micro braiding, maybe think about having micro cornrows. This is very popular with many celebrities and they look breath taking. You can always add beads to the ends for a summer vibe. This is a great look for the beach and music festivals. 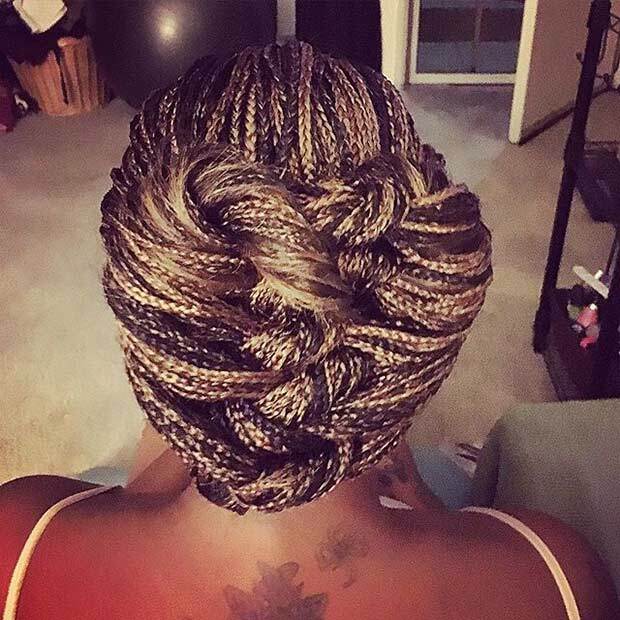 This impressive micro braid updo will be the talk of the town. It’s very detailed and intricate. Be aware, for this style, you may need some practice. Probably best you get your friend to style your hair. It’s hard to do yourself as it’s all facing the back. To generate the heart shape bun, it will be easy to grab all the braids together but the harder part will be to show it’s a heart and not just a detailed bun. Good luck! 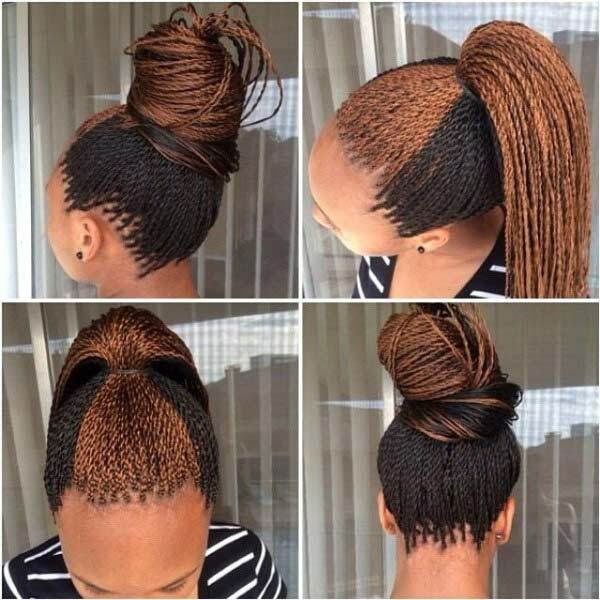 Go for the two-tone hairstyle with twists to show off your distinctive side. From every angle, it will look astounding. This will look great when you tie your hair back or even when you have your hair down. The distinction between the two colours will look so good. 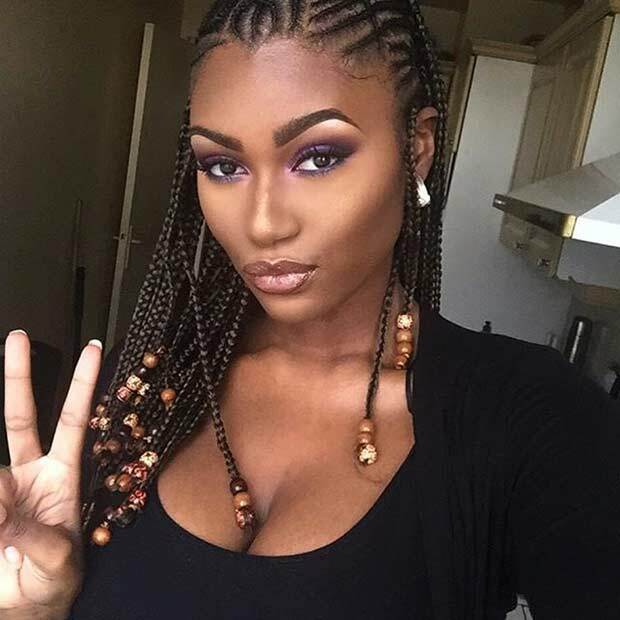 Having micro braids will allow you to separate the hair easier than usual, so make sure you grasp this opportunity to show off your artistic side. This will open the door to a completely new path for lots of different updos, like this one. Grab the front section of your hair and implement your own creative style. You can then tie up the back section of your hair and make your style. You can’t beat the classic bun. A classic ballerina style bun is cute and feminine. This is fresh and elegant which will create a sophisticated look. Great for work, school, going out or even popping to the cinema or shops. You’ll be ready for anything with this style. 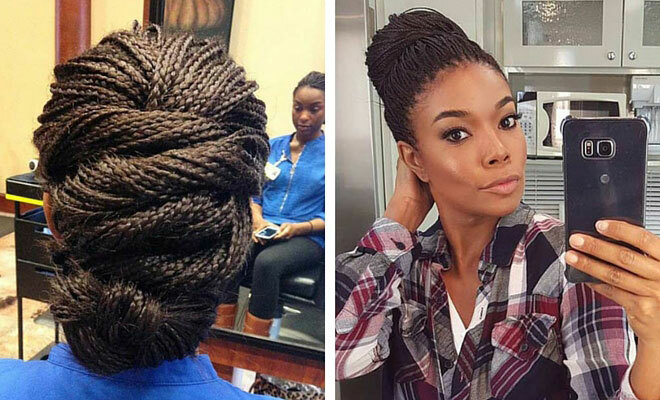 Twisting your braids is fashionable and stylish. 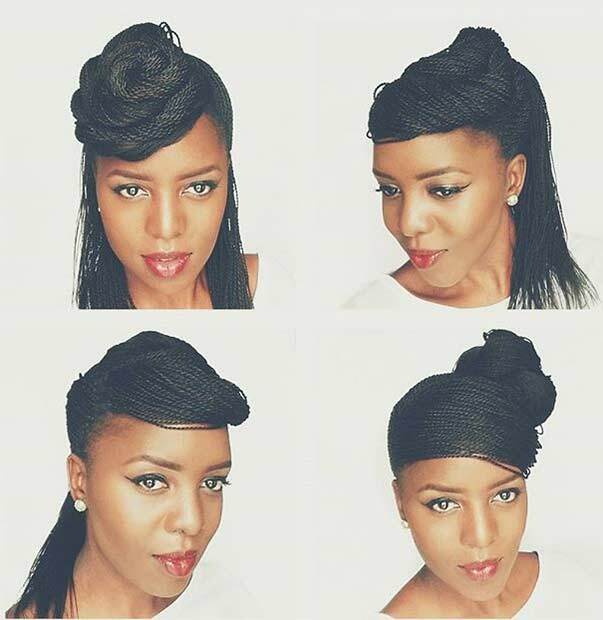 This photo shows four different ways to style your micro twists so get twisting! You have the choice of having your hair up, down or half up. Depending on your plans or event, there’s a style for all. If you fancy having your hair in a different style but still want it down, the half updo is so easy to do. Grab a few braids from either side and tie it in a loose hairband. You could even wrap a few braids around to act as a hairband. 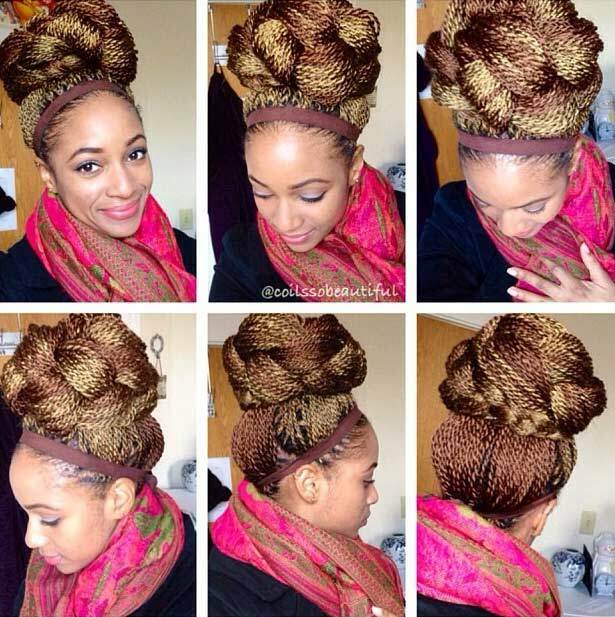 We adore these twists and the photos look unbelievable. 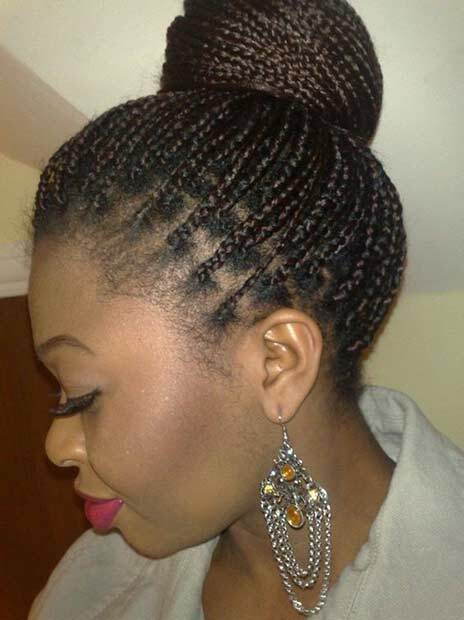 The micro Senegalese twists are the most pretty and popular twists out there. Make your hair look and feel this pretty. Having two-tone hair really sets the twists off and instantly attracts a warm glow. Elegant, classy, stylish, chic and sophisticated. This updo hairstyle is all these things rolled into one. 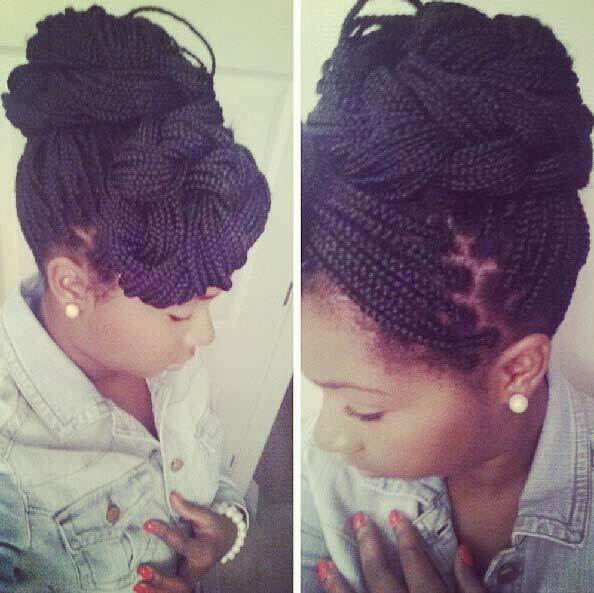 All you have to do is braid your front braids, and make a stunning design. The hair that is left down, you could sweep to one side. 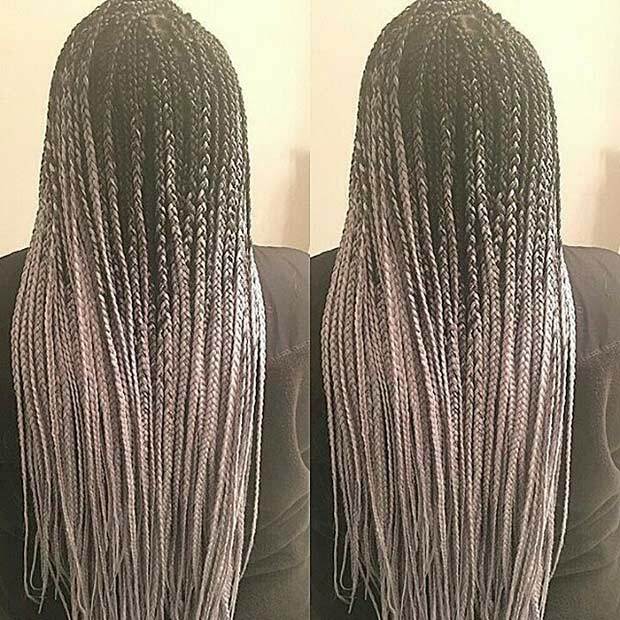 Gray ombre micro braids are a fashionistas dream. Until a few years ago, gray was just a hair colour that was seen on mature people, but roll on 2016 and nearly everyone wants it or has it! We all know that the gray colour has been trending for a while now and it looks incredible with braids. Great post, love the styles. Just one thing, the pic labeled Alicia Keys is actually Zoe Kravitz. Thanks! 24 is not Alicia Keys. Please fact check the photo of #22. That is Zoe Kravitz. It’s uncanning how similar she looks yo Alicia keys however their facial structures are different. You might want to put the real person’s name on this list, which is Zoe Kravitz. Everything looks good. Hi! Thank you for letting us know. We’ll make sure to fix the mistake. What type of hair was used? Hi Shelby! What’s the name of the look you’re interested in? What color hair is #15 using? 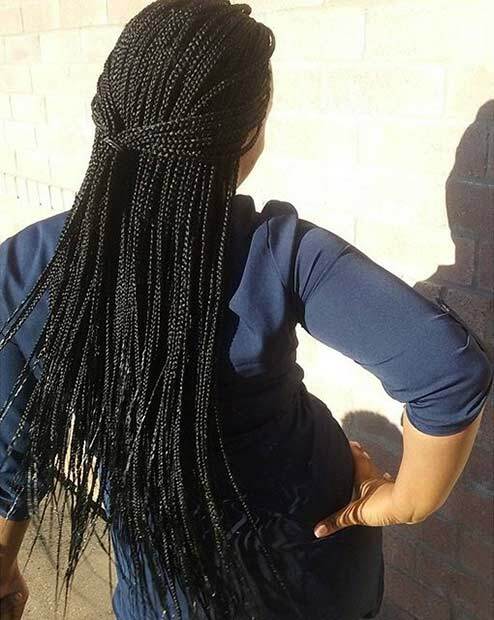 What type of hair do I need for micro braids? What kind of hair is used in micro braids number 21! ?